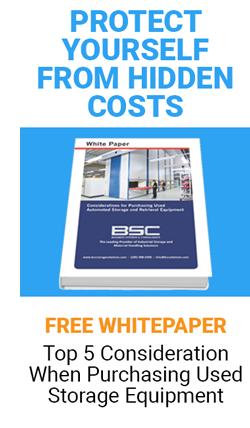 At Business Systems & Consultants, we know that your needs go well beyond just storage and organization, and this is particularly the case in large manufacturing and warehouse environments that require a high level of efficiency. Smooth and efficient movement is crucial to staying on top of your competition, so we create everything to align with your unique workflow and production processes. From distribution warehouses to manufacturing plants, we provide pallet rack solutions for almost anyone on the supply chain side. We can meet your specified needs because we’re partnered with the largest pallet racking manufacturers on the continent. Pallet rack materials that are placed directly on racks via forklift are tricky to get right because dimensions must be perfectly aligned to the racks and forklifts as well as being sized for your shipping containers. Roll form column design is key to the structural integrity of each system. Our uprights are welded with heavy-duty bracing, and we offer a variety of columns and beams for your specific needs. We create strong pallet rack systems in various designs to accommodate your unique size needs, and most of our models are adjustable to accommodate space and inventory changes in the future. All components are made with highly durable steel built to withstand even the heaviest of loads. In your line of work, productivity is crucial. That’s why we design storage solutions with accessibility as well as parts storage space in mind. The type and size of your tools and products should determine the size and organization of your storage systems and not the other way around! Not only that, but they must be designed with maximum safety in mind. Our shelving and manufacturing storage systems can accommodate almost any size, weight and type of inventory. We’ll design solutions for small parts and hand tools, as well as larger, difficult-to-fit items like power tools. Workbench style units can be created for easy access to all tools from bulky items to nuts and bolts, and they come complete with removable bins where needed. We not only provide custom-sized shelving but can create storage boxes or bins that offer maximum accessibility and take up minimum space. This is especially important for small parts storage in large areas where staff, technicians and other workers must all understand where to locate items quickly in a larger space. Some of our shelving options include mobile shelving and motorized assistance. Our high-density shelving and workstation areas also come with RFID tracking systems to not only help you locate your parts but to track them as well. Mobile systems are one of the most innovative and practical options you can have in your warehouse and can significantly improve your organization and storage capacity. The push-button style system allows anyone in large spaces to access inventory and parts quickly. We design our systems to your specifications regardless of height, width or breadth restrictions. Our recessed track systems can be installed directly into the floor, and end panels can be designed to match aesthetics. All of our mobile systems also come with secure locking devises for optimal safety. Automated storage and retrieval (AS/RS) systems are a must-have for any warehouse environment. The digitally controlled systems ensure that your precious assets, stock, tools, and other items are perfectly placed and tracked. 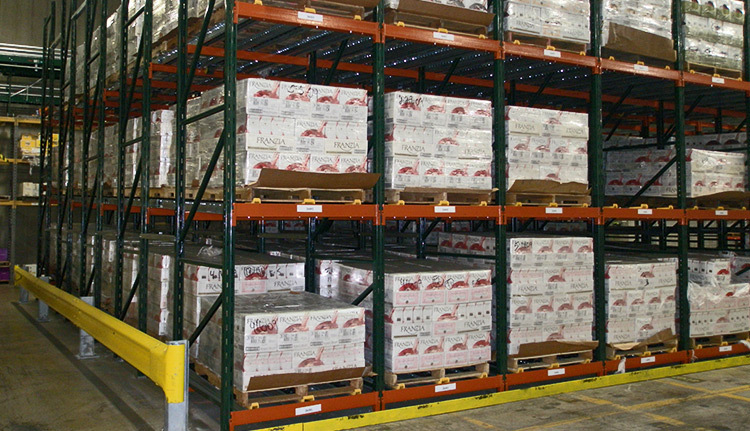 Lean-Lift and Rotomat mobile shelving solutions make use of vertical space and automated motion to ensure inventory control, as well as the physical safety of your staff. Items can be stored in a vertical matter and are brought into reach in a matter of seconds. This movement means no more ladders and no more repetitive stress injuries from bending or reaching. 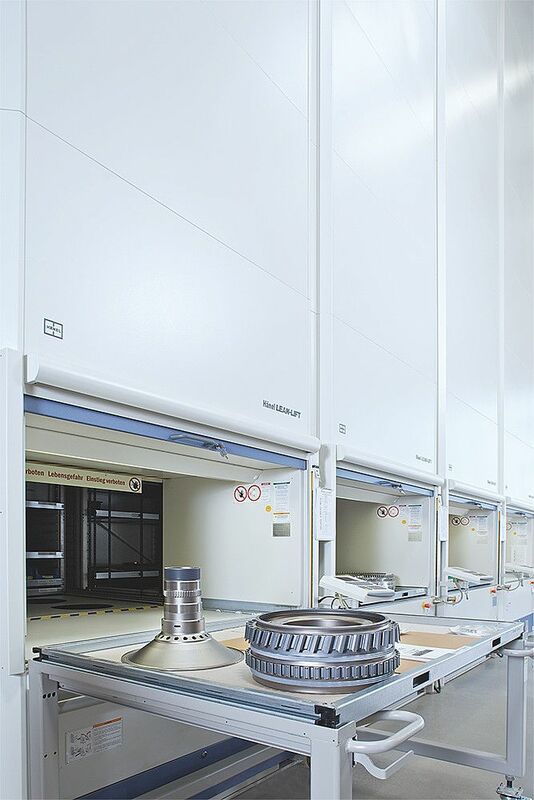 Our rotating carousel shelves are flexible and adaptable to meet the needs of any industrial or manufacturing space by maximizing vertical storage space. Items placed on the carousel are moved into place quickly yet remain protected inside the shelves the rest of the time. There are endless benefits to these types of systems, but the key one is highly accurate at real-time inventory control. As it’s built in, you no longer need to worry about running to the warehouse or taking stock manually. Moreover, customers and partners will get immediate updates, in real-time, when they inquire about what’s precisely available at a given location. Of course, having such a highly accurate system adds a level of security to your entire system, tracking everything down to the minute without the risk of theft. Adding more storage to your warehouse space gives you more room for other activities while helping staff retrieve items quickly. Saving both time and space can contribute to a higher ROI over time. The best industrial storage systems should be designed with overhead space in mind. That’s why we offer several options for two and three-tiered systems which, like all of our products, are designed with optimal efficiency and durability in mind. Our shelving systems are not only designed to be adjustable to meet your changing needs; we also fit them with high-density drawers, storage bins, and other options to suit varying capacities and shapes. Our models are designed with simplicity in mind, meaning that we don’t have any nuts, bolts or clips but instead simple posts and beams. Our method means that the structures can be built in a matter of minutes and can be both adjusted and transported efficiently. Mezzanine storage solutions are the optimal choice for making use of empty vertical space. Durable designs not only offer extra space in high places, but they are also strong and durable, meeting OSHA, BOCA and IBC codes. Store tools and other valuable items in our wire mesh lockers that make for semi-visible storage areas in apartments, businesses, warehouses and more. Our wire cages offer a unique combination of flexibility and strength. They can be installed immediately and built to spec, with flexible configurations made to accommodate almost any need, even large-scale or weapons storage. Since they are built to accommodate high-level storage needs from uniforms to weaponry, our storage lockers come in a variety of configurations, heights, and sizes. We’ll add versatile shelving and hooks at any level. Lockers have built-in ventilation, fire suppression, and RFID capabilities. Our specialties include tenant storage lockers, weapons storage units, and specialty cases for electronics. When it comes to parts storage for manufacturing, we’ve got every little detail covered, and we accomplish this by listening carefully to what you need. Our team of experts knows how to design across a range of industries, and we offer turn-key solutions, taking care of space management projects from start to finish. We’ve been leaders in the storage business for more than four decades, and in a sense, we’ve seen everything, but we also understand that each company is unique, so we take great care when listening to your needs and requirements. Business Systems and Consultants is a leader in quality industrial storage, material handling, and modular office solutions. Our experts will help you to pick out the best industrial storage solutions for your needs. Are you ready to make a change? Contact us now with your questions, and we’ll be happy to hear from you.